1. People are being driven largely by what is in their subconscious mind. Dr. Loyd says that only 10% of our memories are conscious. We are unaware of the other 90% of our memories that are driving our behavior everyday. 2. 90% of the time, individuals we encounter are unaware of why they are behaving the way they do. If subconscious memories are driving people to behave certain negative ways, then they are not necessarily trying to hurt others on purpose. Their unconscious beliefs are birthed out of their negative cellular memories. They are simply responding to the world out of that resulting belief system. 3. People cannot act any differently than their awareness will allow. Therefore, we as Christians need to be patient with each other. If a person is unaware of what they are doing and why they are doing it, they don’t have the power to make a choice to do something different. II Timothy 2:26 explains that they are in “the snare of the devil, having been taken captive by him to do his will.” Therefore, we are required to show mercy. We must say as Jesus said, “Father, forgive them; for they know not what they do” (Luke 23:34). We are called to be “kind one to another, tenderhearted, forgiving one another” (Ephesians 4:32). 4. We need to understand who we are in Christ. If we know who we are in Christ, people’s negative behaviors generated by subconscious cellular memories will have no power to nullify the perception of our own righteousness in Christ Jesus. No weapon formed against us shall prosper (Isaiah 54:17). If we can dodge that bullet of deception the enemy attempts to send our way, then we can walk free of offense. If a person has a sprained ankle, he’ll walk with a limp. He can’t help it. You can’t expect him to walk normally. In the same way, when people have been wounded emotionally and have negative memories at a subconscious cellular level, they will not give healthy behavioral responses, and you can’t expect them to. The best you can do for that person is to love them, bless them, pray for them, and do good to them as Jesus commanded in Luke 6:27, and hang on to your righteousness. If you can keep your wits about you no matter what, you will be able to realize that whatever is going on with the person is not about you. Even though difficult people are unable to make choices about their behaviors because of issues they are not aware of, you must choose ahead of time to walk in forgiveness. You must make a choice about whether the relationship is worth fighting for. Finally, you ultimately must choose whether you will continue to subject yourself to their behaviors or not. Some people must be loved at a distance. If not, they may never be motivated to ask God to help them to change. Let the Holy Spirit be your guide, for He knows precisely what is needed to effect change in any and every situation. What strategies do you use to effectivelydeal with difficult people in your life? Leave a comment below. The Bible says, “Faith without works is dead” (James 2:26). If we say that we believe the Word of God, then it follows that we must do what He instructs us to do. We must act as if we expect to receive what we are trusting God to give us and make the necessary preparations. Thus, faith will always require that we take action. By its very definition, obedience requires action on our part. When God speaks we must move. Whatever God instructs us to do, we must do. Not only must we act, but we must fully carry out His instructions. Partial obedience which fails to implement the totality of God’s instructions is not obedience. Furthermore, if we fail to implement the instructions of God when he says to do them, we are still in disobedience. Therefore, true obedience requires complete and timely cooperation with the mandates of Almighty God. The definition of compassion involves an emotional response which is coupled with a desire to help alleviate suffering in the lives of others. Therefore, compassion is more than a feeling. Compassion not only moves us emotionally, but we are compelled to move into action. Therefore, if you feel moved emotionally, but you do not make an effort to help a person who is suffering, you do not have compassion. You may have pity. You may have sympathy. You may have empathy. Compassion, however, will move you into action and you will meet the need at hand. John 3:16 states, “For God so loved the world, that he gave his only begotten Son, that whosoever believeth in him, should not perish, but have everlasting life.” God showed His love by giving. Therefore, love is an action word that is not based on feelings. 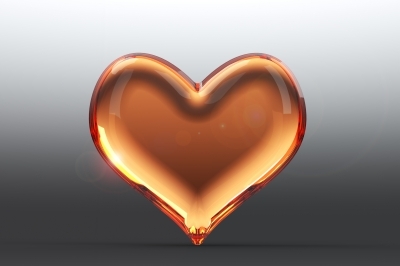 The God kind of love I am discussing here is called Agape, or unconditional love. When you love someone unconditionally, that means that you will be moved to meet their need, if and when God directs you to do so, no matter how you feel about the individual. You may not like or feel positively toward your friend, family or spouse. However, if you love a person and you see he or she has a need of some kind, you will help as the Spirit leads. Love is a choice to act in ways that will please God regardless of your will, your desires, or your emotional state. In the Bible, we are commanded to forgive one another. Contrary to what you may have heard, I believe that forgiveness is also an action, not a feeling. When we are wounded emotionally, we hurt until the Holy Spirit heals the emotional wound. He’s the healer. However, when we do what He tells us to do in reference to how we should treat our enemies, I believe the power is released to heal our hurts. In Matthew 5:44, we read that we must love, bless, pray for and do good to our enemies. If we make a quality decision to forgive as an act of our will in obedience to the Word of God and do what Jesus said to do, it does not matter how we feel emotionally. I believe the God counts that as forgiveness. Until the Holy Spirit heals the wound, the feelings will be there. Emotions are not to be used as a gauge to determine whether we have forgiven. Forgiveness is demonstrated by a conscious decision to forgive, a mental assent, where we align our will with the Father, and the actions we take in obedience to His Word. Therefore, I encourage you to take action today. Act like you believe God and make preparations for the manifestation of your blessing. Obey God. Show compassion. Love people. Forgive people by obeying the Word and responding to them as God would have you to respond. That’s how you demonstrate salvation in action. 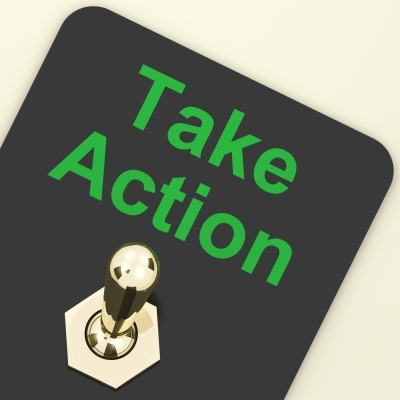 Which one of these action words have you had to demonstrate most recently? Leave a comment below.